Just two days after first moving outside, the turkeys showed up one night in the chicken coop. I’d read that this might happen, and we’d already decided that we weren’t going to manage around the fear of blackhead disease, but I was a bit surprised that it happened so quickly. For a few days they were inconsistent – in the chicken coop, back in their coop, partly in the coop. 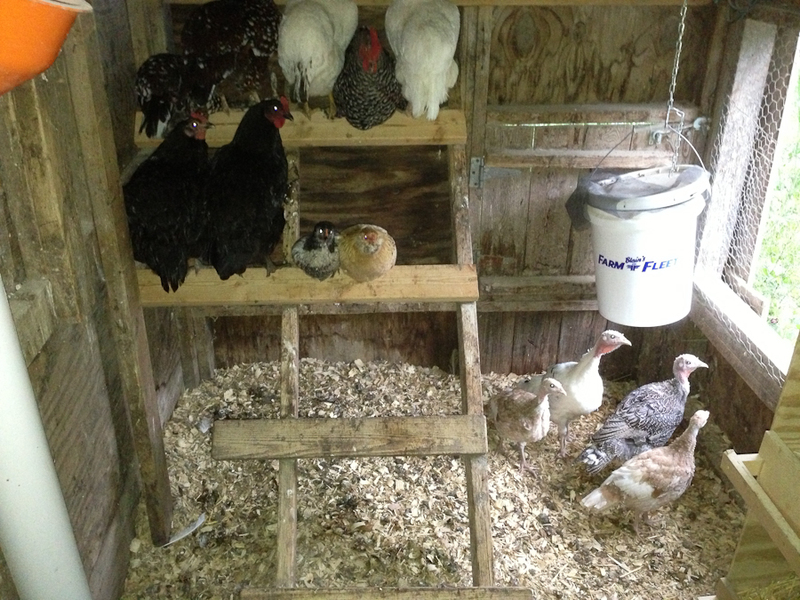 But it seems that they’ve settled into a pattern now, and our cool new turkey coop sits empty. This entry was posted in Chickens, Turkeys. Bookmark the permalink.